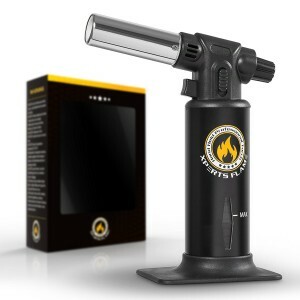 A butane torch is a cool tool that produces an exceptionally hot flame that you can use for many home applications. Since their inception, butane torches have been popular with welders and plumbers because they make it easy to cut and weld metal more accurately. The tool works by focusing a high temperature on a small point using highly combustible butane gasses in the right proportions. 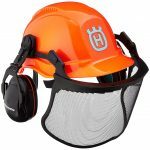 However, over the last few years, the torches have become very popular and handy to regular individuals as applications where they could be used increases. In addition to the welding applications, these highly useful torches can be used across your home to free sticky nuts and bolts, get a vintage look on metal or wood, singe frayed ends of nylon rope, unlock a frozen padlock, shape jewelry and even cook various recipes. When struggling with stubborn bolts and nuts, you can heat them up with a torch before loosening them. Heating them up will cause the metal to expand and the rust to crack loose, making the bolts easier to turn. However, before using a butane torch, you should ensure there is nothing flammable to avoid starting a fire or even an explosion. 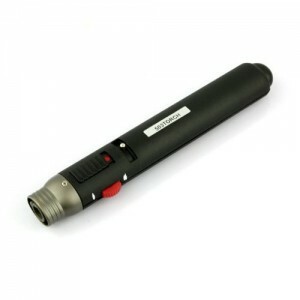 The best butane torch should also come with safety features that reduce the risks associated with these butane torches. I have reviewed the four best torches below. 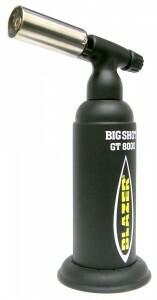 The GT8000 Big Shot torch by Blazer stands out as the best butane torch largely due to its safety and flame control feature. The GT8000 torch comes with an anti-flare, brass frame nozzle that ensures a low blow-out rate when being used in places that are difficult to access, or when held in various positions. The torch also comes with a gas-flow adjustment dial that lets you easily control the length of flame for effective use in areas with limited space. Another unique feature that makes the GT8000 Blazer torch the best butane torch is its unique design that features an angled head and an attachable, tabletop base that makes it convenient for hands-free work. 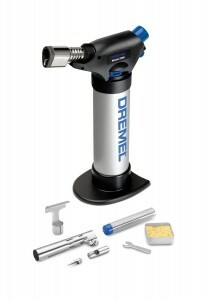 The Dremel 2200-01 is a portable tool that is highly useful in various applications such as pipe fitting, soldering, culinary brazing, and shrinking. The 2200-01 stands out as one of the best butane torch products in the market due to an integrated ignition trigger that that makes it easy to startup. The Versa Flame 2200-01 torch by Dremel also comes with a safety lock and a flame lock-on feature that makes it convenient for continuous hands-free work. Other features you will find useful include the air control knob for easy flame adjustment, filling valve for quick refilling, and a large tank capacity that ensures extended use. The 2200-01 Dremel multi-function butane torch also comes with a kit that features a blower, flame diffuser, deflector, and storage case, soldering tip, sponge, solder, wrench, and tin. The 503 Mini Jet Pencil Flame by UNISHOW is the cheapest on this list, but a highly useful and a reliable torch. The main reason why the lighter is on this list is because of its durability and reliability, unlike other pencil torches that end up leaking or stop working after a few weeks. 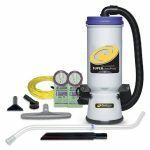 Despite its low price, the Jet Pencil comes with highly useful features that include a button click igniter, and an adjustable fuel control. You can use the this torch in repairing optical instruments, melting frozen locks, and other applications in tight spaces. The Kitchen Torch by Experts Flame has a distinctive design that is easy to use for professionals and the average home cook. Unlike other products on this list, the Kitchen Torch is specifically built for culinary applications. It is small, lightweight and highly durable, which makes it suitable for a wide range of kitchen and outdoor applications such as barbecuing, caramelizing food and desserts and soldering small metals and jewelry. Don’t forget to stock up on butane fuel! This canister by Zippo has 165 grams of butane or approximately 6 ounces. It has a universal tip that allows you to fill almost all butane torches, or lighters on the market. What should you consider when buying a butane torch? – How to find the best butane torch for you. With all of the increasing butane torch brands and models, choosing the best butane torch is no longer straightforward and thus, it is beneficial to know what you should look out for. 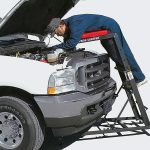 Different brands and models come with unique features that make them more suitable for different applications than others, but some of the important features you should look for include an instant on and off ignition and flame adjustment feature. Butane torch units with an instant ignition feature are easy to ignite while the flame adjustment feature makes it convenient to use the torch across various situations. 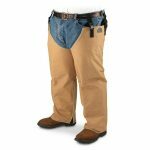 Other things that you should consider include a safety lock, versatility and an ergonomic design.